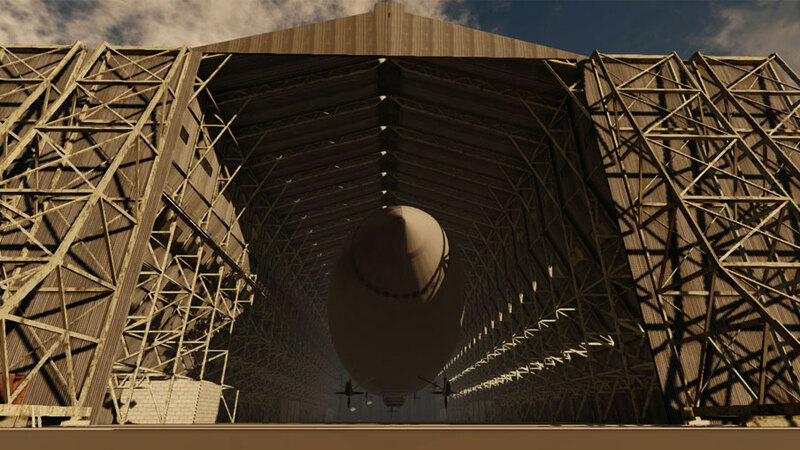 Design and build an environment that illicits the feeling of nostalgia, I have grown up in the shadow of the cardington airship hangers and since an early age wondered what it would have been like to see these graceful giants floating throught the sky. 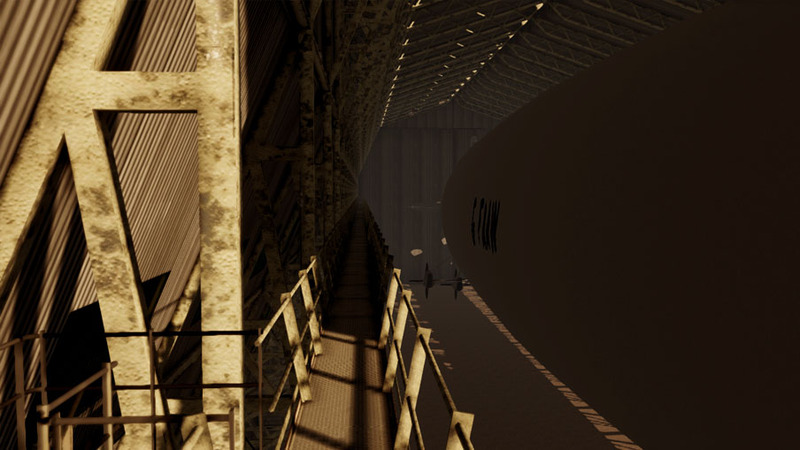 The scale of the environment posed problems in several areas including light mapping, and texturing however with some tweaking and a few compomises the final effect was successful. With the modular nature of the building came some challenges when it came to collision meshes as it was critical for them to be accurate to avoid sticking points for the player. in the future I plan to port the models into a modern engine to enable a better user experiance, maybe even make it into a virtual reality tour. I would also like to include the docking mast which has since been demolished and some foliage and environment to give a feeling of scale.